We offer the best quality on market to our customers. 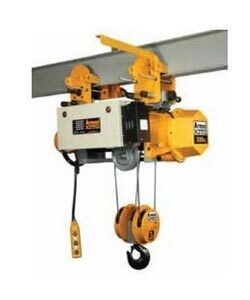 As a Supplier, Exporter and Importer, we proudly present Electric Hoist (Kito AC HOIST Series). We provide appropriate packaging material for the aforesaid equipment as per their requirements. Rest assured of its excellence as we provide export grade quality. Get in touch to get the excellence on offer for affordable rates.